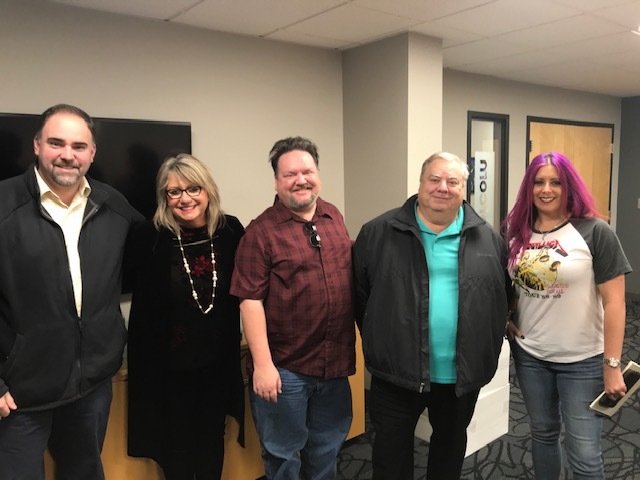 Are you coming to Nashville for the Country Radio Seminar? New this year, MusicMaster will be participating in a hands-on programming workshop. The session will be repeated on Thursday and Friday from 9:00am to 9:50am. Since this is a hands-on workshop, participation is limited to 20 programmers each day, so sign-up fast! You will be provided a laptop loaded with Version 7 and a problematic MusicMaster database. With the guidance of the MusicMaster staff and some of our master users, you’ll work through solving a series of three challenges. You will also be given a thumb drive to take home which has resources you can use to continue learning once you get back to your station. Here’s a preview of the three challenges we’ll be demonstrating. Do you ever feel like your rules aren't working for you the way they should? Do you have many similar rules repeated in multiple categories? Do you wish you could apply the same rules differently at different times? If the answer to any of these questions was Yes, we'd like to introduce you to the magic of Rule Groups! In this section, you'll get your hands on a bloated and unhealthy rule tree and learn how to fix it! 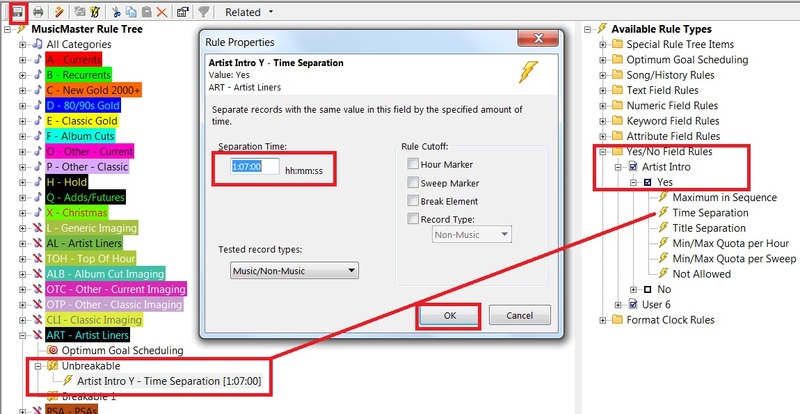 We'll show you how to group similar rules together, set your new Rule Groups to apply to specific categories, songs or clocks, and even daypart rules within a group. We'll also send you home with video and written tutorials on Rule Groups so you can brush up before diving in to trim your own rule tree. Whether you have a recurring game day feature or are getting ahead of a holiday weekend, chances are you've once swapped clocks in a portion of your assignment grid. Many people edit their grid directly - which, for one thing, can lead to issues if they forget to change it back! 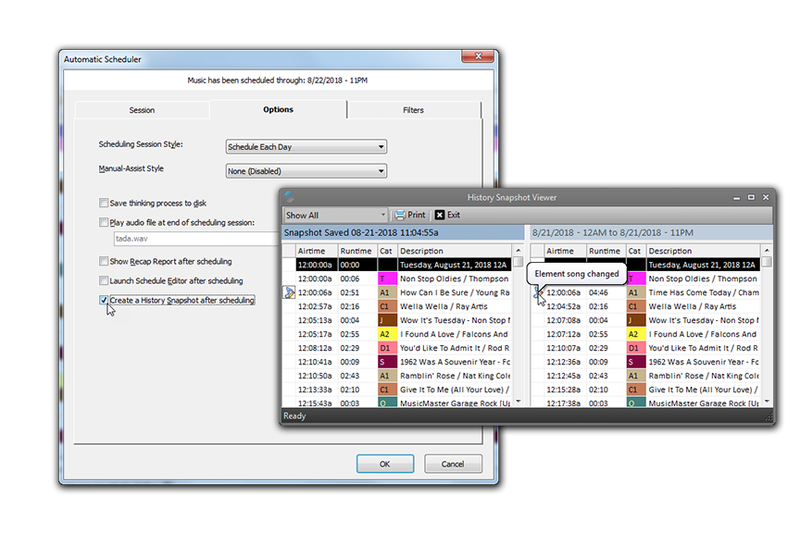 MusicMaster has an easier way to plan ahead for special programming: the Format Scheduler. In this section, you'll learn its ins and outs as you work on solving several different feature programming scenarios. You'll also take home video and written tutorials so you can apply this when you get back to your station. Did you know that MusicMaster has a number of diagnostic tools that help you look inside your log and detect potential problems? For instance, you can run a report after Scheduling to see how well your rules and Optimum Goals performed. You can run another report after editing to make sure you didn't inadvertently create any new issues while replacing songs. In this section, you'll get a chance to apply these tools to diagnose and fix a problematic log. We'll also provide you with a take-home guide so you can reference this material as you make your own diagnostics. If you’re interested in attending, RSVP soon to reserve your space. You can sign up by clicking the button below. 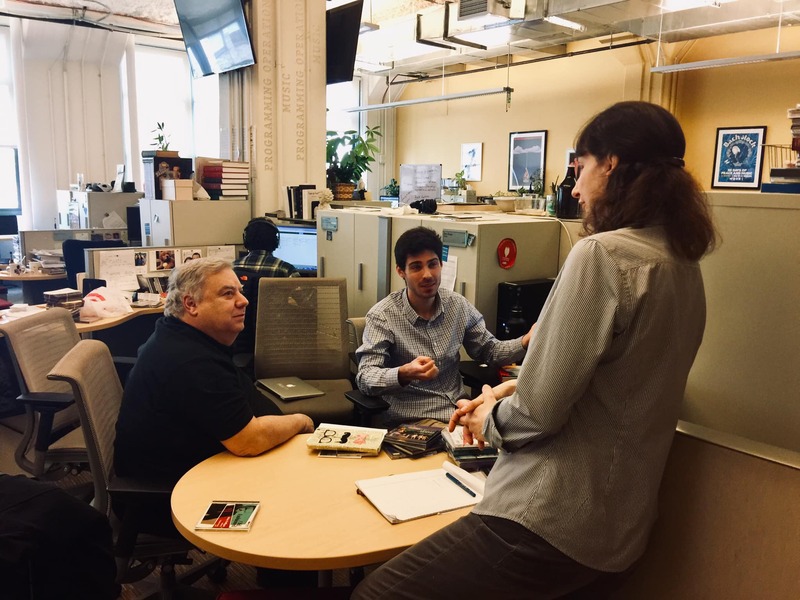 "How Short Attention Spans Should Impact Song Selection "
In each newsletter, we present a guest article from one of our MusicMaster ProTeam consultants. 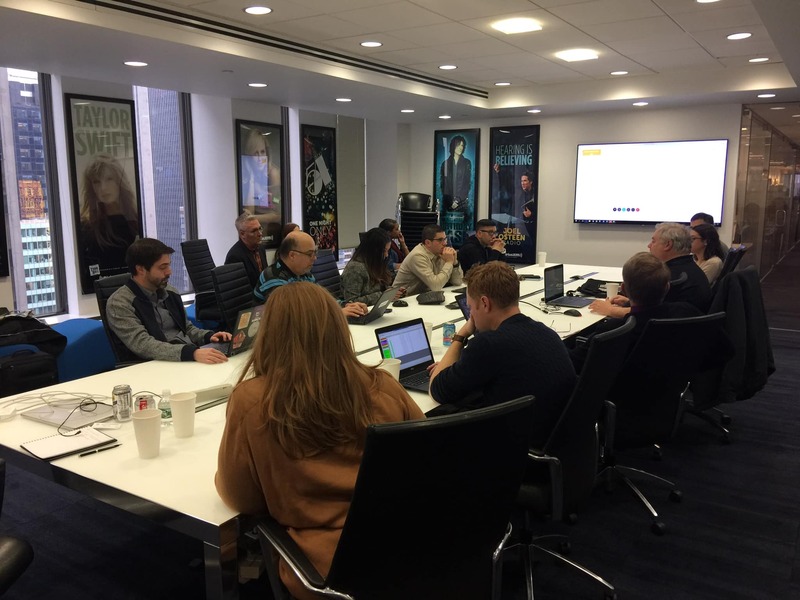 This month, Tracy Johnson of Tracy Johnson Media Group challenges programmers to think differently about music selection, and how to keep audiences from "skipping" to the next song - or the next station. In the past, programmers generally accepted a music programming strategy that started with a code more suitable for physicians: Do no harm. That's still good advice for Doctors but it no longer works for radio stations. 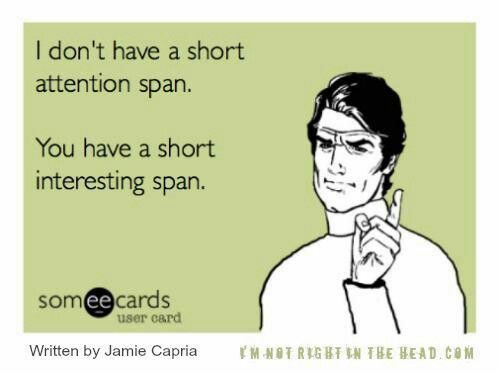 Shorter attention spans have affected every aspect of our lives. It should affect song selection. Programmers fortunate enough to still afford music research have a distinct advantage. Listener feedback provides the basis for making more informed decisions. When it's time to sort the songs, most programmers start by getting rid of the weak songs. And that's valid. You can't take those poor testing titles off the air fast enough. The next steps, however, need to be re-imagined. Few dispute that more choices for entertainment has led to changing consumer behavior. Time Spent Listening to radio continues to decline as more competition for attention pulls audiences in different directions. Impatience for instant gratification is everywhere. Think about how you flip through television channels looking for something that catches your eye. Or how quickly you click out of a YouTube video that doesn't start fast. First, maybe it's time for shorter songs. Yes, song length overall has been trimmed, but if you can get a few more seconds out of each title on the air, you could play up to two more songs per hour. And, since listeners are spending less time on each station (even their favorites), tighter playlists will not sound as repetitive to the consumer. Conversely, all playlists will sound repetitive because they're hearing the same songs in a lot of places. So if you're going to get blamed for repetition anyway why not play the hits more? But there's another, more important fact that should affect song selection on every station. When a music test comes back, most programmers follow a specific pattern. After getting rid of the stiffs, they examine the research to find the best songs to play in high frequency power categories. That's a positive step. But then there are all those songs that fall in the middle. The research shows they aren't running listeners off (few negatives), but they also don't have many "favorite" scores. The net result is a collection of songs that look fine. They seem playable. In the interest of broadening the playlist to add variety (and often tempo), programmers create secondary categories. These lists are generally filled with songs that few listeners hate, most don't dis-like and most are neutral or slightly positive. This is where we run into problems. Playing songs that test positive, but have little passion no longer hold listeners. Just because someone doesn’t DISlike a song doesn’t mean they’ll sit through it. Consider how you listen to playlists on your phone or on Spotify. You’ve already curated those songs. Presumably, nothing on the playlist is a song you dislike, and certainly won't be a song you hate. Yet when those tunes play through earbuds, what happens? An “average” or even “good” song comes on. You skip it. Why? Because the next song should be better. This one doesn't get you excited. It's okay. But it's not good enough. You've tuned out of your own playlist because you have learned to have higher expectations. Music decisions are often driven by programmers seeking to eliminate negatives. The presumption is listeners will stay in the absence of negatives. As a result, a lot of “okay” songs are making it through the music sort and on the air. But in the real world of radio listening, the opposite of love is not hate. It’s apathy. This is the concept of being in the Zone of Mediocrity. It's not a good place to be. “Acceptable” songs are causing listeners to hit the “skip” button on their radio. That’s the change channel or scan button. And studies are proving that once they tune out, they're less likely than ever before to come back. Audio streaming services and pure plays like Pandora, Apple Music and Spotify have discovered this as well. Have you noticed that they're feeding streams more hits, and fewer "discoveries"? There is a wealth of data available about how users respond to music. It proves how impatient listeners are with audio entertainment. Spotify reported that just half of all users allow a song to play all the way through to the end. They use the song as long as it’s useful, then skip it and go on to the next song. This gives even more credence to this strategy of editing songs. Their data also shows that 29% of all songs delivered are skipped in the first ten seconds. Think about that. Almost 1/3 of all songs on a playlist that constantly adjusts by learning individual tastes and preferences fail and cause tune out. If that doesn’t cause you to rethink the music sort, nothing will. Can you afford to lose that much audience every time the song changes? Most of the time, the songs that are skipped aren't bad songs. They're not always songs the user dislikes. They're skipping songs that aren't important to them. They are seeking to be inspired, motivated and excited. In other words, maybe programmers forget that listening isn't done in a vacuum. Many factors affect listener behavior, and it should affect song selection. I'm not suggesting there's just one winning strategy for programming music. That would be ridiculous. There are many ways to succeed, and the right formula for your brand will vary based on format, market conditions, station position, target audience, history and other factors. Most stations can and should have tighter lists than they have. More emphasis should be placed on "favorite" scores, even if there are some negatives that go along with it. Set up music research to eliminate the middle by not allowing respondents to choose an average score. For example, instead of a 1-5 scale (with 3 being "average" or "okay"), go to a 1-4 scale. Build format clocks that include more powers than secondary songs. If average (secondary) songs are a potential tune out, and nearly 1/3 of the audience is exiting, it doesn't take long to turn over the entire audience. Try for a 2:1 power to secondary ratio and use the principles in the Spoke Theory of clock management to protect the weak spots. Don't worry about burning out songs. Listeners are constantly tuning in and out. They're going to hear the most popular songs in a variety of places because they're the most popular songs. Reducing play of high testing songs with high burn scores weakens your station. You'll be replacing it with a song that may have less burn, but nobody cares about it. And what happens? Tune out. In fact, it's probably a good idea to stop measuring burn. It's not nearly as relevant as it once was. Programming a station with "safe lists" isn't nearly as safe as it may have been in the past. A popular tactic for stations without research is analyze a group of similarly formatted stations and choosing the songs they share most. This can be dangerous, unless you know how those playlists are constructed. A safe list may end up being nothing more than a collection of the most generic songs that are not disliked. But What Are The Hits-Really? Since radio stations began playing music on the air, music marketers have tried to impact airplay (real and reported) in an effort to "game" the system. Judging what to play based on charts is an unreliable metric. Even isolating specific stations to follow is fraught with peril, unless you know exactly what criteria the station uses to choose their playlist. So what are hits? We can't judge it with sales at Tower Records anymore. And downloads on iTunes only provides part of the picture. Accessing this data (and other criteria like Track Completion Rate) could change how stations test music today. With tens of millions of touch points of data, and actual humans making decisions whether or not to listen or not listen to a song, why would we rely on a few dozen respondents ratings songs over a phone line, an online test or in a hotel ballroom? At the end of the day, it all comes down to song apathy. Nobody has time anymore for anything but the best, as they define it. Today, it's easy to get the best, and move on from anything average. And that applies to every format. This is logical programming, but much harder to put into practice than it seems. Personalities quickly get bored playing a smaller collection of hit songs. 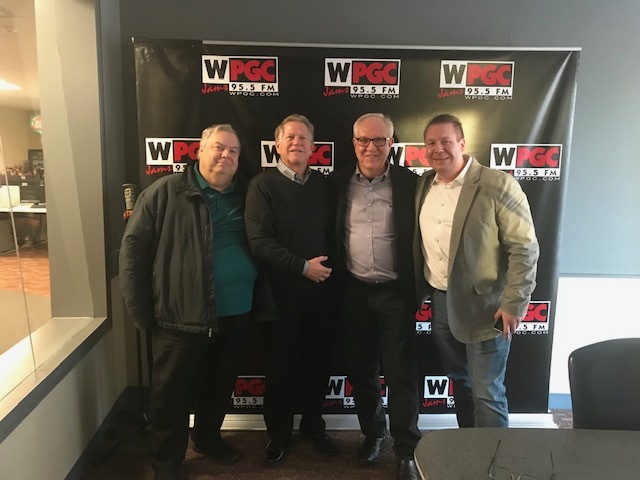 You also hear it from sales personnel, managers and even some of those listeners who spend far more time with your station than most listeners do. To diffuse that situation internally, explain the strategy to the team. Many programmers tend to hide the research, but it shouldn't be a mystery. It's a valuable programming tool and using it to communicate how the station will win can help everyone feel more involved in the process. This is common sense, really. The audience is changing. The way we consume entertainment is completely different than even a few short years ago. Smart programmers will focus on the way listeners actually use radio and program through the audience experience. That will absolutely affect song selection. Want more advice like this? Read more about Tracy and his services on our ProTeam page or on Tracy's website: TJohnsonMediaGroup.com. Or contact Tracy directly at (858) 472-3546 or Tracy@TJohnsonMediaGroup.com. History Snapshot was a feature we introduced with Version 6 and with Version 7, we've made enhancements to give you even more flexibility in what you can do. You'll now find an Operation Button on the Schedule Calendar that you can enable. The Schedule Key Mapping list now includes History Snapshot so you can run this on the date you are editing. Export to Automation and Log Reconciliation now both have options to run this as well. Should you Unschedule a log, you can have corresponding snapshots removed. Finally, if you need it, you can also create a printed report now. Even with new features, we continue to innovate to provide you with more tools to put the information you need at your fingertips. 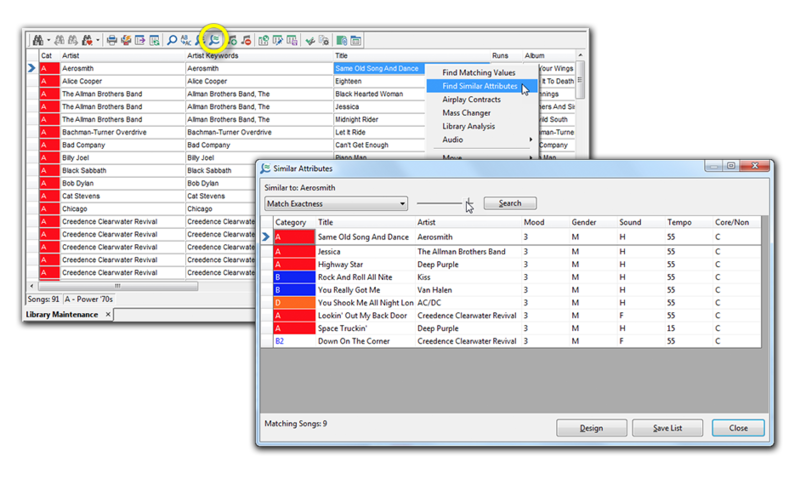 by Marianne Burkett - MusicMaster has always had a find “matching” values feature in Library Maintenance where you put your cursor on any field and click the magnifying glass with the “=” icon and songs with the same value would pop up. In Version 7, we’ve gone a step further. Right next to this icon is a magnifying glass with a “squiggly” equal sign – Find Similar Values. You can pick and choose which fields to use for this feature. Any one, or multiple attribute fields. Open your Field Editor… (Dataset/Library/Fields). You’ll see the “Attribute Fields” under the column “Type”. Note the header “Similar”. In the sample above, I have Energy, Mood, Role, Sound and Type checked. Anytime you make changes in the Field Editor, be sure to click “OK” to save your changes. Now go back to Library maintenance and click on the magnifying glass with the squiggly equal sign icon. You will initially see “All Matches”. Now, look at the bottom of the screen. You have DESIGN, SAVE LIST and CLOSE. Design allows you to choose the attribute fields you’d like to see in the display. Save List is just that. Click that and you’ll have a new Song List to utilize. by Dave Tyler - I had an interesting call the other day. The client is a talented super-user at one of the great radio stations using MusicMaster and he had an interesting dilemma. He uses “Special Sets” to schedule customized Artist Intros into songs. He has 3 of these Special Sets in each hour but only wants them to play a maximum of once an hour and on top of that not always in the same spot. The first thought would be to use a Max Quota per hour rule or Min/Max rule of some sort but the problem would be that if we set it at 60 minutes then it would always become available at the same time. Here is our solution to this unique request. Use the dropdown menu below to view a list of stations and locations. Click a station on the list to visit its homepage and listen live! 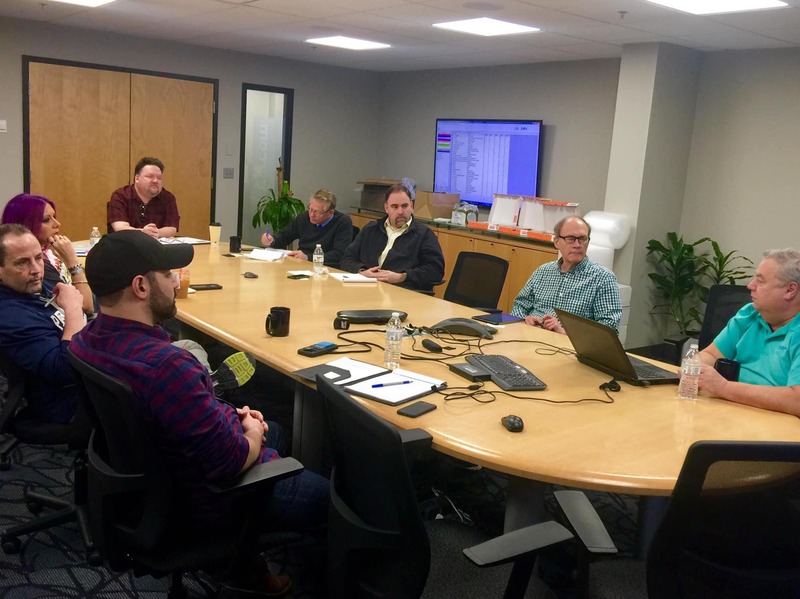 This month, the MusicMaster team took a road trip in the snow East to visit MusicMaster users in New York, Boston, DC, Philadelphia and more. The traveling trio, including MusicMaster Founder Joe Knapp, Shane Finch and Melanie Knapp, made a grand total of 11 stops on their tour. 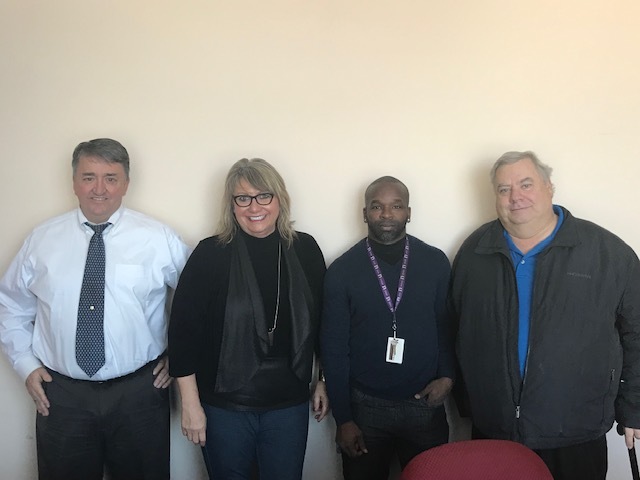 They visited with stations from Entercom, Urban One, Emmis, SiriusXM, Music Choice, the University of Massachusetts, and Temple University Philadelphia. The learning happened on both sides. 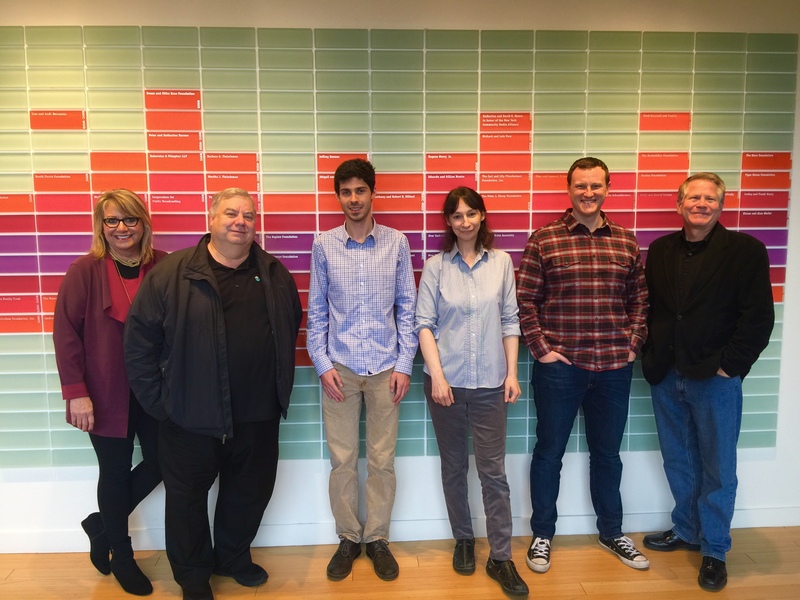 Programmers got a chance to pick Joe Knapp’s brain, and in return, our team learned more about how MusicMaster is being used to meet challenges in these big markets. Of course, there was plenty of excellent shop talk and reminiscing about radio days of yore to go around. A big thank you to everyone for your warm welcomes, and as always, for reminding us why we do what we do! A few photo highlights from the trip are below. 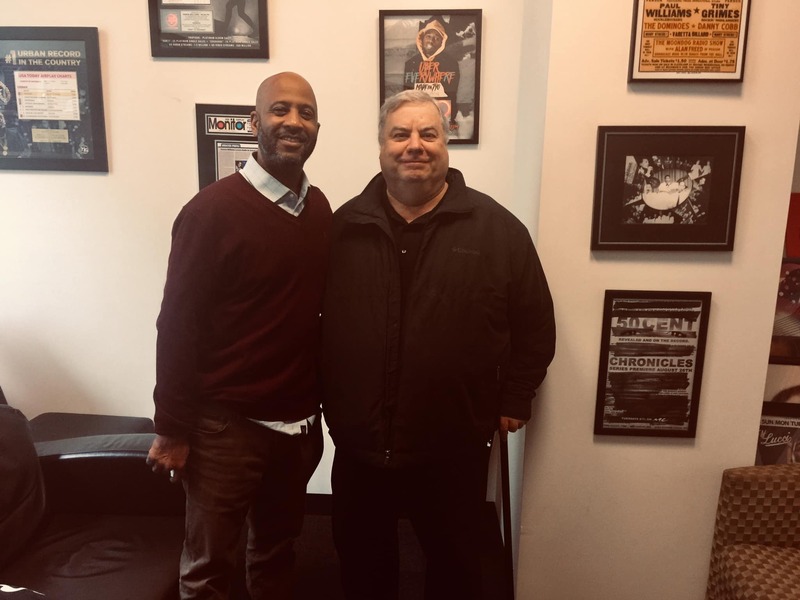 Before his current tenure as President of the company that bears his name, Gary was involved in every aspect of the programming and management of some of America's most successful radio stations. Gary was the first Program Director at the legendary PRO-FM, Providence. 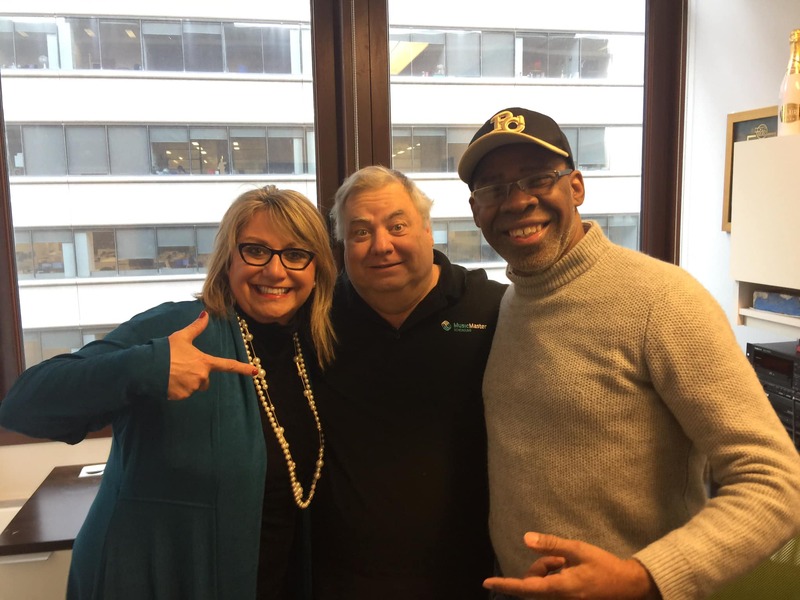 He transformed WROR, Boston from an Oldies station to one of the first AC formats in the US. Gary then went to Detroit with Capital Cities Communications to program News-Talk powerhouse WJR and CHR WHYT. Launching one of the first Hot AC's, Q95-Detroit marked the transition into consulting. Today, Gary consults many of the most successful AC and Classic Hits stations in the US. He begins with custom strategies and then works with the program director, general manager and owners on every aspect of the product. Gary says; "Many of the programmers I work with look at me as their co-PD who is only a phone call away. Since I work for a limited number of stations, you get my total attention to detail." 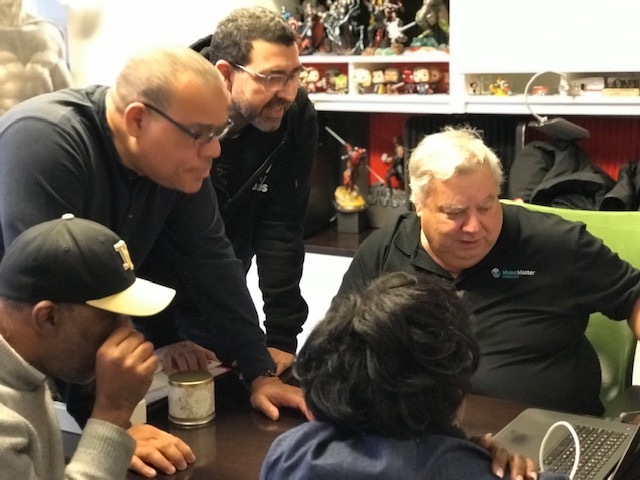 When it comes to music scheduling Gary says…"I was a bit reluctant to change over to MusicMaster (from one of the other programs), but it’s worked out great. Marianne (my MusicMaster Scheduling Consultant) has held my hand the entire way and still makes sure everything is right on my databases. It's like she works for me! She even teases me here and there that I’ve become a Music Master Ninja! All of my stations that use MusicMaster are at the top of the ratings, so that’s the best thing I can say about the program." You can reach Gary at gary@garyberk.com or visit his website at www.garyberk.com.